Can nation of smokers really stub out habit in time for coming ban? Pedestrians smoke outside an underpass in Shanghai. 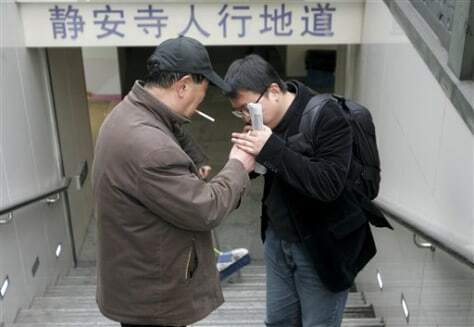 China has committed to banning smoking at public indoor venues by Jan. 9, 2011, in accordance with a global anti-tobacco treaty backed by the World Health Organization. But smoking is such a way of life that China is unlikely to meet the deadline.